With Many Firsts to his Credit, Mr Bhanu Murty, started his career in the tobacco business at a very young age (16 years) in the year 1947, initiated into the trade by his father Mr. Koti Ratnam, as the Managing Partner of M/s Bommidala Purniah. Taking over as Managing Director in 1950, Mr. Bommidala Bhanu Murthy changed the very course of the Indian tobacco industry. Bestowed with a great business acumen and verve, he charted out a trail blazing path seizing upon fresh economic opportunities set forth in the tobacco sector. He was responsible in putting the M/s.Bommidala Brothers icon on the world map of tobacco. 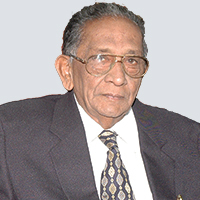 A self motivated individual, with a penchant for innovative thinking and exploring new horizons, Mr. Bhanu Murthy was the first Indian to pioneer overseas trade of tobacco with Japan, way back in 1952, and established direct tobacco contract with the erstwhile USSR (the Union of Soviet Socialist Republics) in 1956. He was one of the early promoters of Indian tobacco to Indonesia, Africa, Nepal, the Czech Republic, later expanding business throughout the Europe Common Market and the USA. His untiring efforts have made the BBM Bommidala Group synonymous with world class quality in the international tobacco industry -Seed to Smoke - with presence in over 84 plus countries. Widely traveled, he was chosen as a prominent delegate on behalf of Tobacco Export Promotion Council, Government of India and represented the country in several Eastern Europe and other Far East countries. With a quest for new technology and passion for breaking new ground, he was astoundingly successful in producing Crude Solanesol from tobacco scrap often discarded as waste, and exported it to Japan in the year 1974, for which he won several awards. 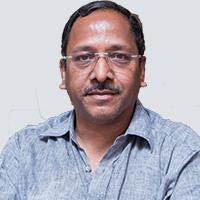 Under the mentoring leadership of Mr. Bommidala Bhanu Murthy, the BBM Group has successfully witnessed spectacular growth within and outside the tobacco domain, in Nutraceuticals and Travel Retail, among other sectors, expanding into the hugely distinguished diversified business conglomerate it is today. By virtue an inspiring entrepreneur, Mr. Bommidala Srimannarayana or Mr. BVS, the eldest son of Founder Chairman Mr. Bommidala Bhanu Murthy starting out in 1984 has acquired fine business talent in leaf trade as well as manufacturing of cigarettes working with JTI. A Commerce graduate, he brings a wealth of experience to the Group having trained in tobacco processing and cigarette manufacturing in the USA. As Division Head, he oversees the complete business operations that include Leaf & Tobacco Processing and Global Trading Business. Bommidala Koti Ratnam, a Chemical engineer by academics with a Masters in Business Management from Cardiff, has been solely responsible for the influx of new Technology at the Group. 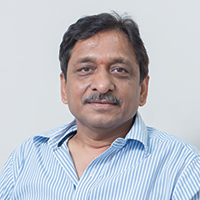 Beginning his career under the able guidance of his father in the year 1986, Mr. Ratnam manages all the Technical aspects of the Group and has been the force behind the latest R & D in the Nutraceutical Operations and the Group's Infra sector. 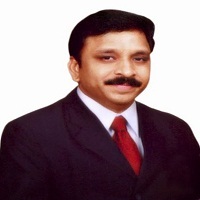 A graduate in Commerce, Raja Bommidala is instrumental for the expansion of the Group's business both laterally and in Vertical. A self-driven dynamic personality, the sheer presence of the BBM Group, as a well respected Brand Name globally, today, is a classic example of his persistent efforts and constant travel coupled with maintaining personal rapport with all the clientele. Experience of various industries is exemplary as also the in depth knowledge gained over the years through association with experts across the Globe. 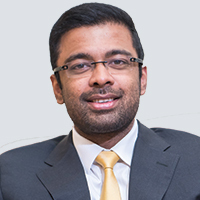 Raja V. Bommidala spearheads the Group's diversification process aggressively in the Fields of Nutraceuticals and Travel Retail. Enthusiastic young leader of the 4 generation of the family, Mr. Bhanu Prakash is a Post Graduate from the UK. Mentored under the Chairman himself, Bhanu Prakash endowed with exceptional management skills looks after the Tobacco products & Travel Retail Business Internationally.